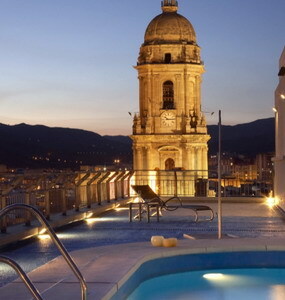 AC Malaga Palacio Hotel rises 15 stories above the Andalusian port city of Malaga, Spain, birthplace of Pablo Picasso and the famous film star Antonio Banderas. 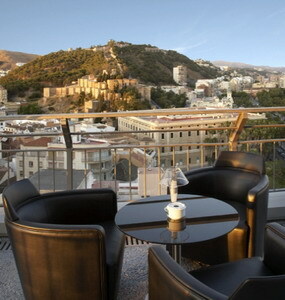 The hotel stands within view of the harbor and near the ornate Cathedral of Malaga. Also near the hotel, Paseo del Parque dots the landscape with exotic trees and exquisite statues. 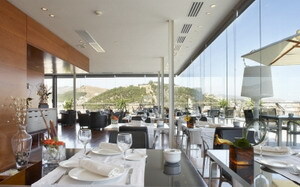 Malaga Pablo Ruiz Picasso airport lies nine kilometers from the hotel. 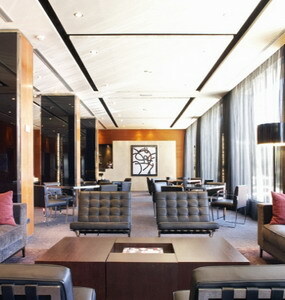 In the lobby, minimalist sofas and clean-lined coffee tables are arranged atop polished marble floors. 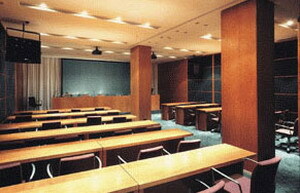 Moreover, business and social events ensue in equipped meeting and conference facilities. Among the hotel's dining amenities, the hotel's second floor restaurant displays expansive views of Paseo del Parque and utilizes fresh ingredients to create specialty regional dishes. 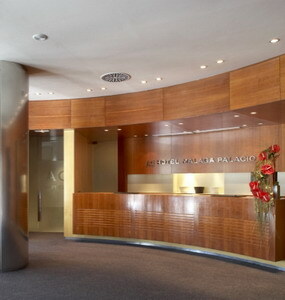 The hotel also presents an extensive breakfast buffet each morning. Fresh coffee brews at the hotel's onsite coffee shop. 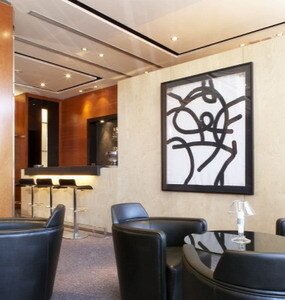 Throughout the day, the lounge bar serves snacks and refreshments. 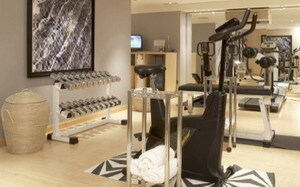 Among the hotel's rejuvenating amenities, the hotel supplies a fitness facility stocked with an array of cardio and free weight equipment. Offering a rooftop retreat, the pool is surrounded by cushioned lounge chairs. 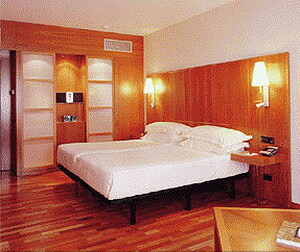 AC Malaga's 214 modernist guestrooms contrast polished wood floors and walls with bright white accents. Beds are dressed in white bed linens and piled with four plump pillows. Specially-designed reading lamps are installed near the beds. Rooms are equipped with satellite television entertainment. 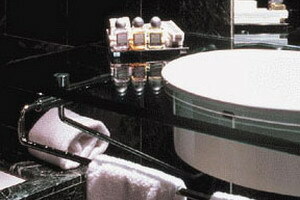 Additionally, chilled beverages from complimentary in-room minibars compliment snacks from 24-hour room service menus. Meanwhile, private bathrooms feature modern glass-topped lavatories and supply plush bathrobes and professional hairdryers. 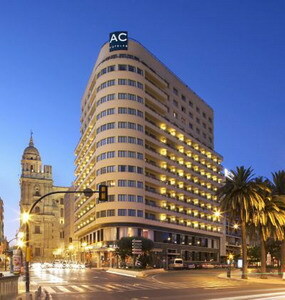 AC Malaga Palacio Hotel is located between the Cathedral of Malaga and the Paseo del Parque,with picturesque views out over the port. An ideal position to explore the historic monuments and attractions of the city. Expert Tip: The rooftop pool area provides an ideal vantage point from which to photograph historic Malagan sites surrounding the hotel.